As soon as the Nintendo Switch hit stores shelves I expected the 3DS to quickly lose software support. Yet here we are in its sixth year on the market and there’s a new entry for the Pikmin franchise, beefed up versions of Pokemon Sun & Moon, and a sidescrolling metroidvania that proves the system still has time on its side. With that being said, I’ve barely touched my 3DS since I picked up the Switch a few months ago. The downgrade in visuals and cramped controls felt like a chore to use after getting acclimated to my new console. I’ve played way more ARMS and TumbleSeed than I have Fire Emblem: Echoes, even though I’ve adored the franchise all my life. But Metroid: Samus Returns has convinced me to focus on my 3DS once more. Nintendo’s long awaited re-entry into the Metroidvania space looked, felt, and sounded fantastic during my time playing it at San Diego Comic Con 2017. Tight controls, expansive level design, wonderful visuals, and a mysterious atmosphere completely enthralled me. Samus Returns manages to combine the nostalgic goodness of Metroid II: Return of Samus with all sorts of improvements that only a modern bounty hunter would have. After going through a short, stylistic intro that provided tidbits of information about the Metroid universe, I touched down on an alien planet ready to explore. I felt at home immediately, surrounded by gorgeous 3D models that looked phenomenal on the small screen. Videos and streams don’t do the visuals justice, a consequence from them being compressed or enlarged for visibility. Tight controls, expansive level design, wonderful visuals, and a mysterious atmosphere completely enthralled me. I wasn’t interested initially after seeing how poor the Treehouse demo looked, but I did a complete 180 after actually seeing the dual screens up close with the 3D slider all the way up. 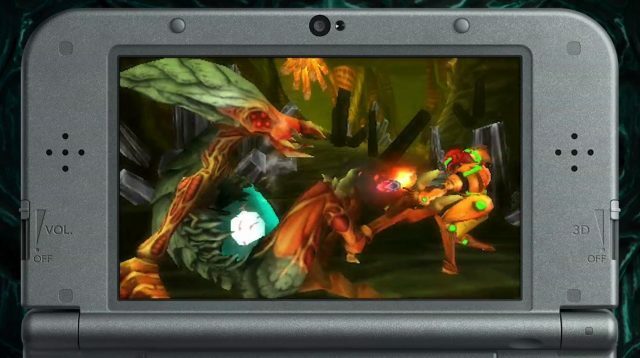 Like other recent entries on the 3DS, the action was broken up with lot of short cutscenes that stayed within the game’s engine, using cinematic angles to capture Samus and the architecture of the planet around her. The combination of these moments with a well-suited soundtrack had my eyes and ears glued to the experience. 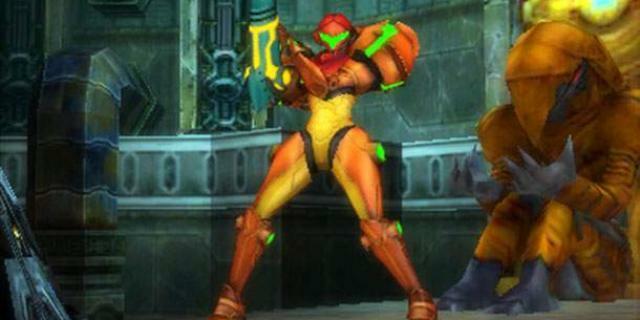 Looking and sounding great can only get Samus so far. What really drew me in was how good it felt to shoot, jump, and roll. It took me a little while to acclimate to the 3DS setup, but after a few minutes of playing everything felt natural. The demo was fairly short. I went from room to room, killing a number of small enemies while expanding my ability arsenal, granting me access to previously impossible to reach areas. New features that weren’t featured in the Metroid II have found their way here, including edge grabs and wall jumps that made exploring enjoyable. Eventually all my looking around led up to an encounter with a very familiar galactic parasite. Unfortunately, that’s when my time with Samus ended. 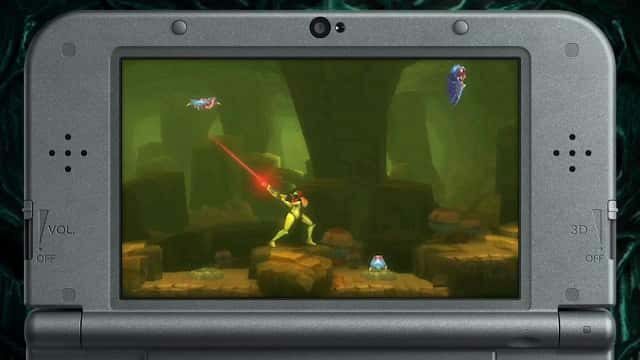 Part of me still wishes I could play as this adventure on my Switch, but Metroid: Samus Returns has convinced me to return to my 3DS once it arrives.